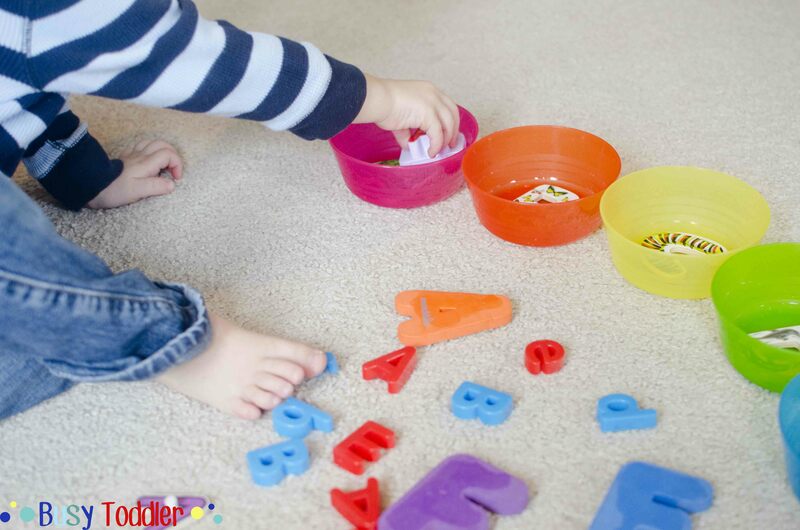 Use alphabet toys and puzzles to create an ABC Sort. I came up with this sorting activity after realizing I may have an ABC hoarding problem. Is that a thing? Do you suffer from it too? 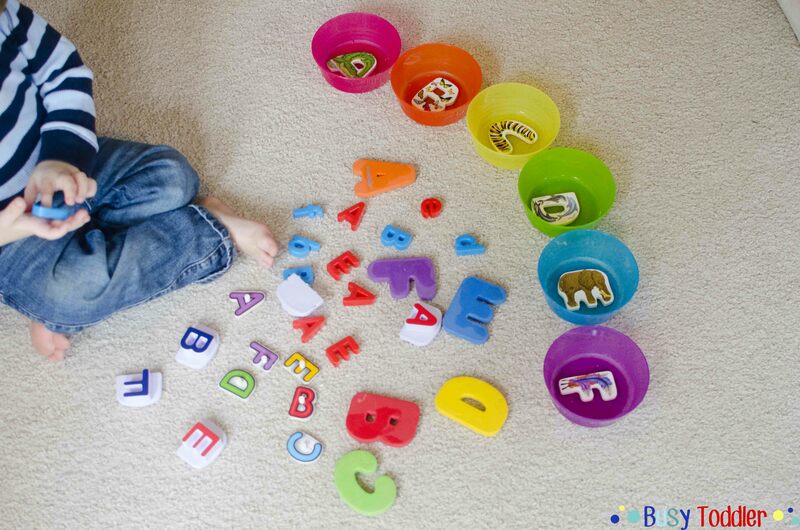 We have so.many.toys that have alphabet pieces and I thought – hey hey hey, we could sort all these letters. ABC Sort is full of math and literacy skills. 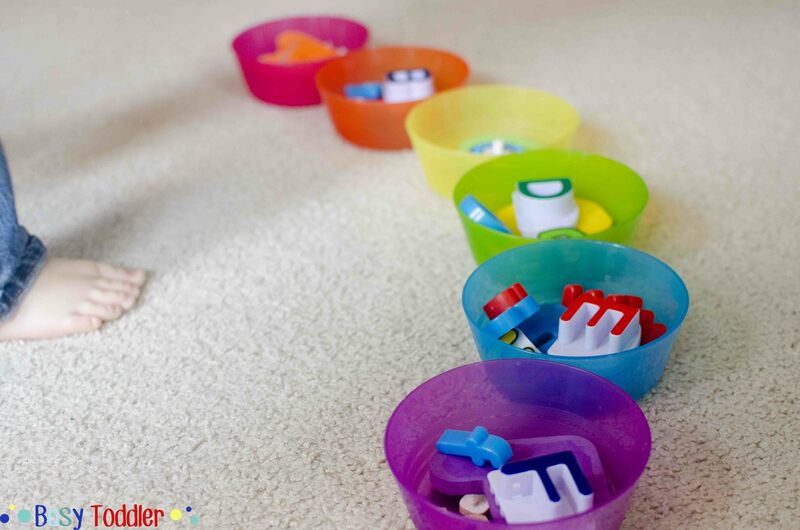 When you think about sorting with your kiddo, remember that sorting is an important math skill. When you sort, you classify data and make rules about a set of objects. In an activity like ABC sort, I’m asking my toddler to recognize similar objects that are not 100% the same (think of a big blue square and a small red square – both are still squares). On that same note, letters come in all fonts and it’s important to know letters not just in one form. Being able to match many versions of the letter B will help his literacy development. Sorting 26 letters seemed a bit daunting so I broke this up and we did A-F first. Plus I only have 6 adorable IKEA bowls so my hands were tied. I grabbed A-F from all the ABC toys/games/puzzles we own (laughed because wow, that’s a lot!) and dumped them out for Sam (29 months) to sort. I put one of each letter in each bowl to get the sorting party started. My toddler, Sam, really, really liked this sorting activity. It had great buy-in for him because we were sorting his toys. Plus, ABC letters are something he’s really into right now. Toddlers don’t need to know their letters yet, but Sam picked them up quickly so we’re going with it (think of it this way: it’s no different than seeing a dog and knowing to say dog. If he sees an A, he says “A”.). Could you use all the car toys you have for some fun sorting? Totally. Do you have a bunch of animal puzzles and plastic toys? You could sort all the similar animals from them. 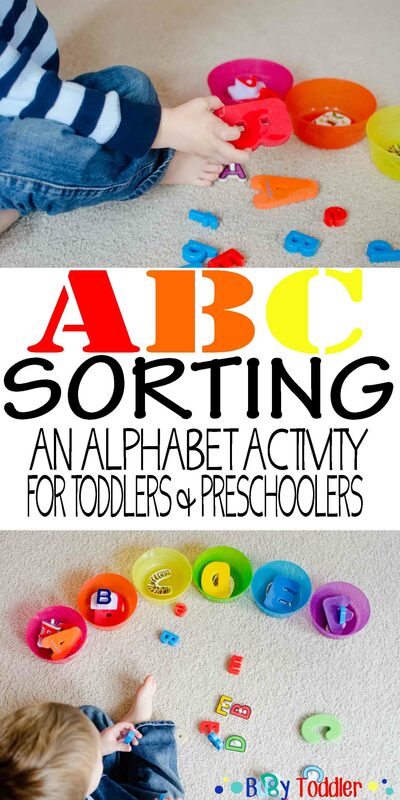 It doesn’t have to be an ABC Sort – any sorting is valuable sorting. Looking for more ABC activities? Check out the collaborative ebook I co-authored, “ABCs and 123s”. 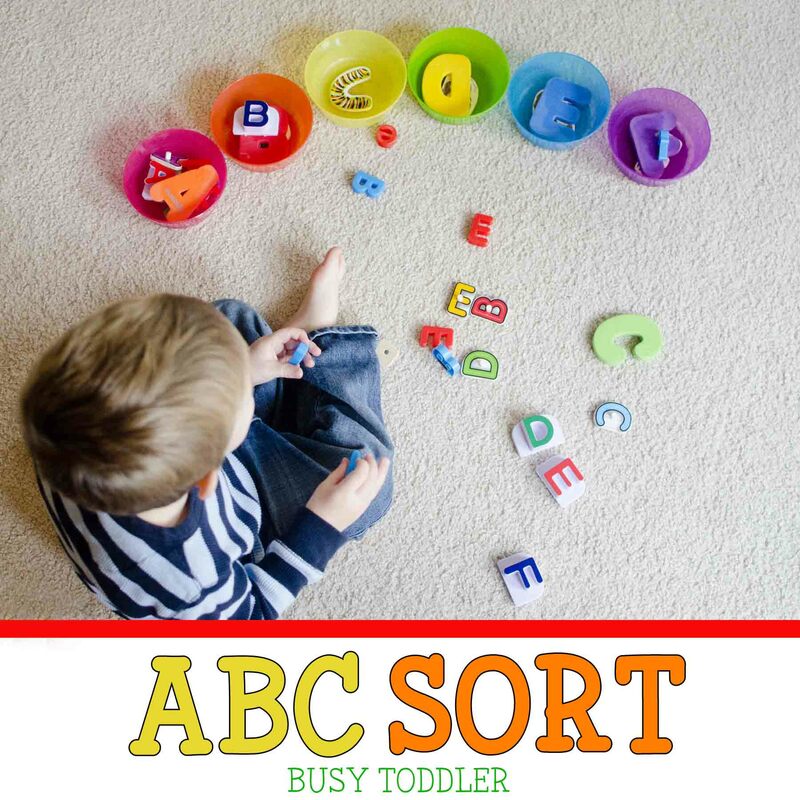 Do you have enough ABC toys to set up an ABC Sort? What a smart idea! I love this! We don’t have nearly as many letters yet, but as my kids get older I’m sure we’ll acquire a lot! I knew there was a reason I save all those random alphabet pieces, even the ones that we no longer have 26 of, lol! This is an awesome idea! I love it! It sure beats singing the abc song or using flashcards… My kids are all older now but this would have been so much more fun for me and the kids! Thanks for sharing your post on the Simply Sundays link up party! I look forward to reading more of your posts! Oh my gosh! We have so many random alphabet pieces hanging around. 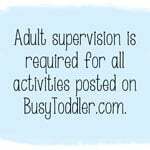 I love that your activities all use items we have at home and I don’t have to make a mad dash to the store to keep the little ones entertained. 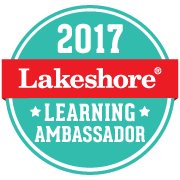 Thank you for sharing at #made4kids! Thanks Kim! It really is perfect for all those random left over pieces! Thank You so much for this! 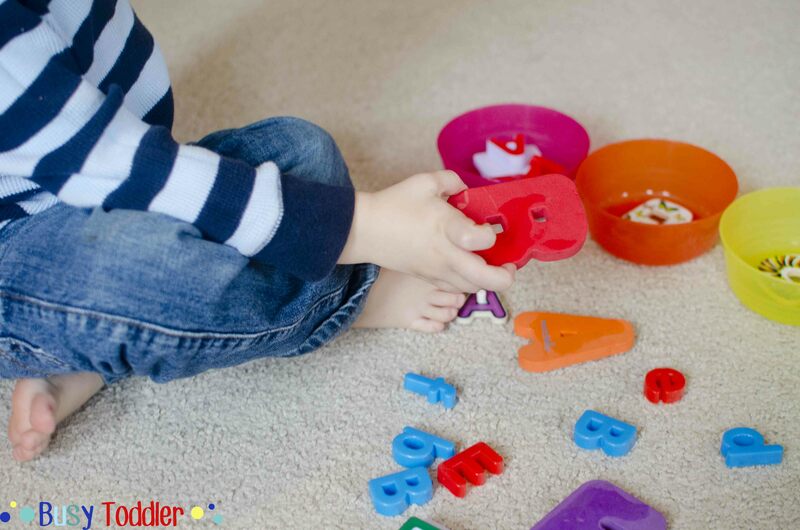 A great way to use otherwise useless pieces AND help little ones learn in many ways! So great! Thanks for linking up with #made4kids, can’t wait to see what brilliant idea you share with us next week!! This is a great and simple idea to pull off (that’s important to me!). You are right–it’s important for kids to know different fonts, as well as both upper and lower case letters. For some reason we focus on upper case when lower case are used more often. I will be using this! Great ideas! Thank you so much for linking with the #pinitparty and don’t forget to check out if you are one of the featured posts next week! Have a great weekend! I love this. I am trying to work with my daughter on letters but it’s not really clicking with her. Maybe this will help. Thanks for linking up on Toddler Fun Friday! 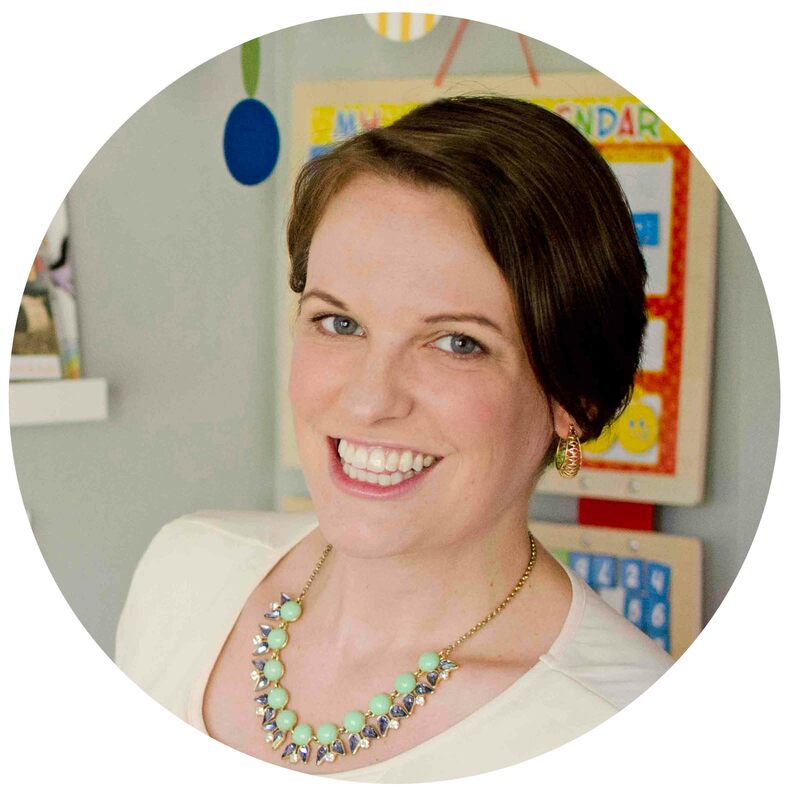 Katie – The name of your blog!!! My daughter is Kate and we call her KaterTot all the time. I just died!!! Thanks for finding me!